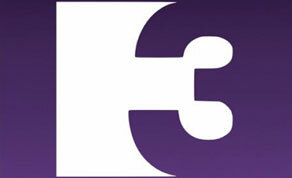 TV3 & European Professional Club Rugby (EPCR) have announced a four year agreement, which will see TV3 broadcast Live ‘Champions Cup’ rugby on free-to-air television for the first time since 2006. As part of this deal, TV3 will broadcast one live ‘Champions Cup’ match per week of the tournament from the beginning of next season (October 2018) until the Final in May 2022. The agreement includes six group stage matches followed by one Quarter-Final, one Semi-Final and the Champions Cup Final. A weekly highlights show featuring the Irish sides participating in the Champions Cup will also be broadcast every weekend of the tournament. This news comes following a hugely successful first Six Nations campaign for TV3, which saw over 720,000 viewers tune into Ireland’s penultimate game against Scotland and earned a 69.7% share of the viewership. Even more are expected to have tuned into Ireland winning the Grand Slam in Twickenham on St. Patrick’s Day, further solidifying TV3's confidence in their 'Champions Cup' investment ahead of this announcement. The contract is set to begin in October 2018.